Alternate Reality is a concept loaded with ethical and philosophical ambiguities. Before we could begin designing an alternate reality narrative, we wanted to better understand what alternate reality meant in the context of PARN. Rather than attempting to define it, we opted for a heuristic exploration in a series of conversations and experiments that we dubbed Alternate Reality Tutorials. The tutorials were intended for small groups and private studies (rather than open public workshops, seminars or lectures), and were guided by people with extensive experience in the subject matter. Most participants were invited artists and developers associated with PARN, allowing the knowledge to percolate through the various physical and alternate reality narratives. Each tutorial had both conversational and hands-on components, where the questions could be explored in theory and in practice. After a decade of designing workshops and seminars we have learnt that having a mix of eloquent presentations, open discussions and practice-based sessions keeps all participants engaged. Some are keen to learn from experts they respect; others are looking for sparring partners to help them untangle complex concepts, and others again are keen tinkerers and learn best from getting their hands dirty. And then there's the communal aspect of sharing lunches and dinners together, fostering social cohesion while gaining more informal and unexpected insights. Even though the tutorials were open-ended, their findings – both explicit and implicit – affected the concept and design of the Borrowed Scenery ARN and continue to inform the works of all participants. Alternate reality is a vast subject that can be approached from a variety of angles, ranging from the ontological and metaphysical to the political and phenomenological. To limit the scope of the discussions and make the learning applicable to Borrowed Scenery, we looked at alternate reality in the context of stories and inter-species communication. How do alternate reality games bring realities into being through stories, games and play? How does a set of Tarot cards become a divination and storytelling tool that can invoke realities? How do we perceive, experience and communicate with the realities of non-humans, such as plants and mushrooms? What would happen to the social fiction of human legal systems in a world where trees were able to vote? What would the reality of a global vegetal culture look like? Such questions guided our explorations of alternate realities and narratives told about them in five tutorials whose surface disparity belied a root system of significant interconnectedness. Alternate reality narratives (ARNs) can be seen as situations in which stories emerge from the spaces of everyday life, evolving through participation and collaborative storytelling. ARNs stand on the shoulders of the more well-known genre of alternate reality games (ARGs). In the first tutorial, Adrian Hon and Matt Wieteska of Six to Start1) introduced ARGs and related storytelling techniques. Participants set out to learn about designing and producing an ARG, while exploring the state of the art of the genre, examining its advantages and pitfalls. 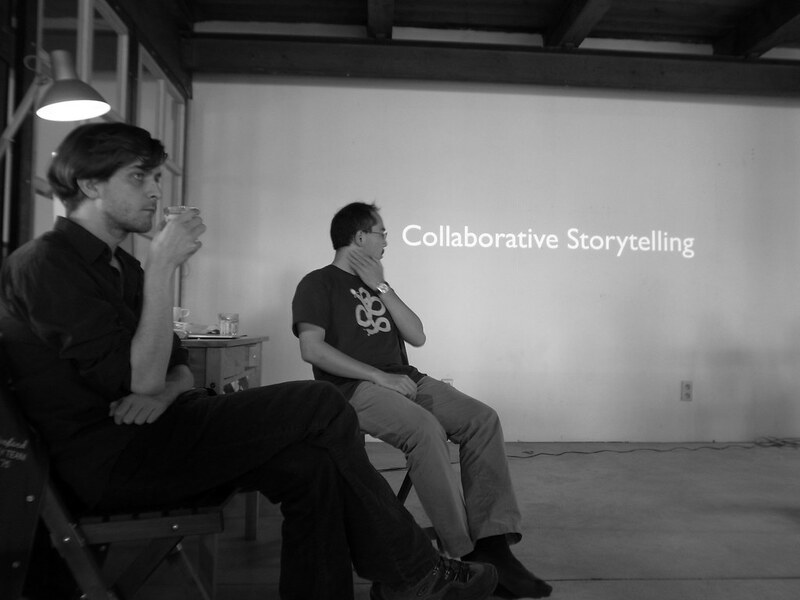 More broadly, we considered what makes for good storytelling, and tested several ideas for ARGs in a series of practical exercises. Alternate reality became associated with liminality, mystery and organic potential. From these themes we designed two prototypes of game experiences about human-plant interaction, one about a homeless cacti and another about the mystery of the European postal systems operating through an underground network of baobab roots. Through this brief introduction to the practice of making ARGs, the Borrowed Scenery team realised that we were less interested in the details of game mechanics and more in the liminal and meandering narratives that could invoke a sense of mystery and potential in everyday life. To explore stories as instruments of invocation, the second tutorial looked at a uniquely European fortunetelling tradition: the Tarot. Art historian and Tarot pundit Paola Orlic2) took participants on a quest to discover the origins of the cards and a journey through the history of the important decks. The links between Tarot and literature, games, cartomancy and psychology were explored, provoking engaged discussions about Tarot readings as storytelling performances used for invocations of alternate realities and possible futures. 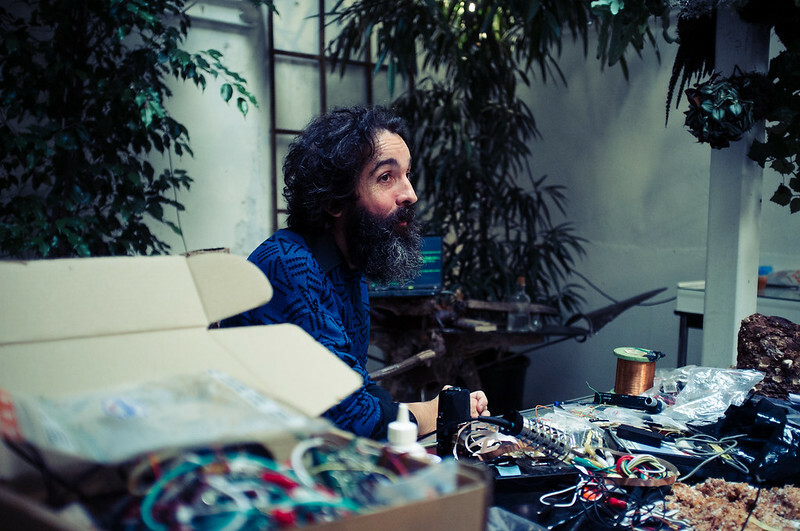 To entangle Tarot with Borrowed Scenery, we invited Claud Biemans3) to talk about the (ethno)botanical properties of medicinal European plants and worked with Paola to associate them with Tarot archetypes. We sought out plants that could influence our mood, to put us in the spirit of The Fool or The Empress, and those that displayed what could be seen as physical characteristics of The Star or The Hermit. We found manifold connections on many levels of symbolism, iconography, morphology, psychology and mysticism.4) This may well have been the first time that these hitherto unrelated narrative systems of Tarot and ethnobotany were brought into connection with one another. After a solid theoretical tutorial, we took on the design challenge of creating a set of 'patabotanical' trumps which we later used as a basis for some of the characters in Borrowed Scenery. We reached back to one of the archetypal stories depicted in the Tarot, a journey of personal transformation, the monomyth or Hero's Journey5) of The Fool and his eventual dissolution in The World. We cohabit the world with organisms that are adept at having distributed selves spread for kilometres through the earth: the mushrooms and their mycelial underground networks. In two speculative tutorials, Radio Mycelium and Silent Dialogues, we joined Martin Howse6) in a set of practical experiments to get in touch with mycelia, mycorrhiza and plants. We asked, what do plants know? How do they make sense of the world? What languages do they speak? If we could understand each other, what kind of myths would we share? What technologies would we need to use to connect electronic and fungal networks together? Can we link them directly to our brains? For the duration of these tutorials we literally became immersed in an alternate reality, experiencing inexplicable physical and mental sensations while being connected to plants and fungi. The world sounded, tasted, smelled and looked different. The direct experiences were encouraging. Describing the experiences of these two tutorials resulted an impressionistic medley of protoscientific incidents and mystical visions that beckons further investigation. A very different alternate reality was explored in Arboreal Identity. Heath Bunting7) and An Mertens8) took participants down the path of identity creation as a storytelling exercise. According to Bunting, legal identities can be seen as constructed social fictions open to creative intervention. A legal person is essentially a web of information that includes phone numbers ID documents, addresses, bank accounts and certificates of various flavours that together form a coherent narrative of social relations which make up the identity of a person. During the tutorial we investigated how such identities can be constructed for a natural, artificial or fictional person, including non-human entities such as trees. In a series of walks and conversations we visited several prominent trees and examined what rights and identities they have according to the current legal system. 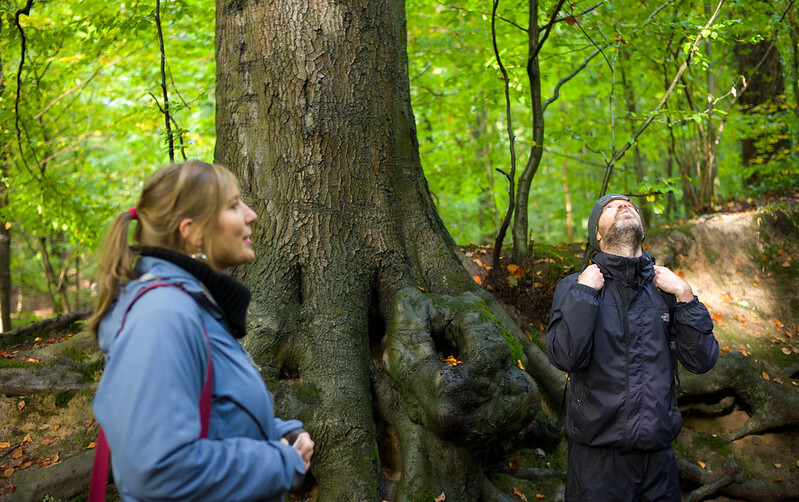 The ideas generated in the tutorial are being translated by An Mertens into a story and guided tour of Zoniënwoud, an old urban forest on the edges of Brussels which will – as the story goes – acquire a legal voice in the central commune and beyond. On the fringes between two species, humans and plants, lies the alternate reality of vegetal culture, where human society is based on principles emerging from the plant world. Inspired by Masanobu Fukuoka and Terrence McKenna's view on the fundamental entanglement of plants and humans, FoAM members Cocky Eek and Maja Kuzmanovic designed a tutorial for a group of students at the ArtScience Interfaculty.9) GroWorld Vegetal Culture brought together tutors and participants from other tutorials, along with Duncan Speakman10) and Tale of Tales,11) to guide a mixed group of nineteen BA and MA students. Through a series of seminars, screenings and participatory design exercises, the students were invited to devise their own interpretations of the concepts behind Borrowed Scenery. At the end of the six weeks, the plethora of ideas and discussions were translated into ten experimental works, ranging from audiobooks to interactive installations and sound walks. It was interesting to see the transformation of the students' view of plants and stories as the projects developed. Most began the tutorial thinking plants were 'boring' but came to realise the versatility and applicability of plant stories in their own lives and works. 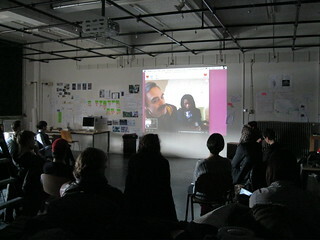 As with the students, many of the participants and tutors continued working with the topics and techniques they encountered in the Alternate Reality Tutorials. Having the tutorials so closely linked to the ARNs and physical narratives developed for PARN allowed us to put together a peculiar and unique curriculum that could not be found elsewhere, both in terms of the topics covered and the methodology. 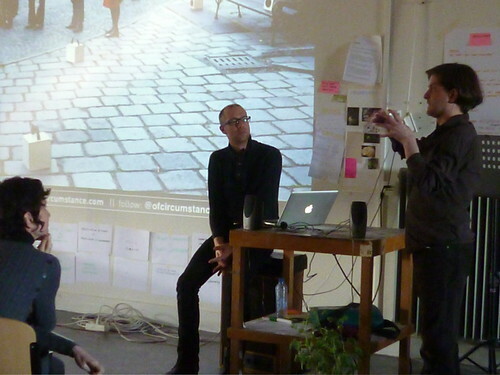 Furthermore, having a tight feedback loop between learning, experimenting and implementing the ideas in public productions, means that the tutorials have had a direct and indirect impact on many people. Not only have there been more stories told about alternate realities, we're happy to report subtle changes in the realities of (some) participants' daily lives. From stories to reality and back again, the following chapters – which vary in tone, density, and detail, mirroring the diverse atmospheres and people involved – summarise the manifold discoveries and experiences emerging from the PARN series of Alternate Reality Tutorials.